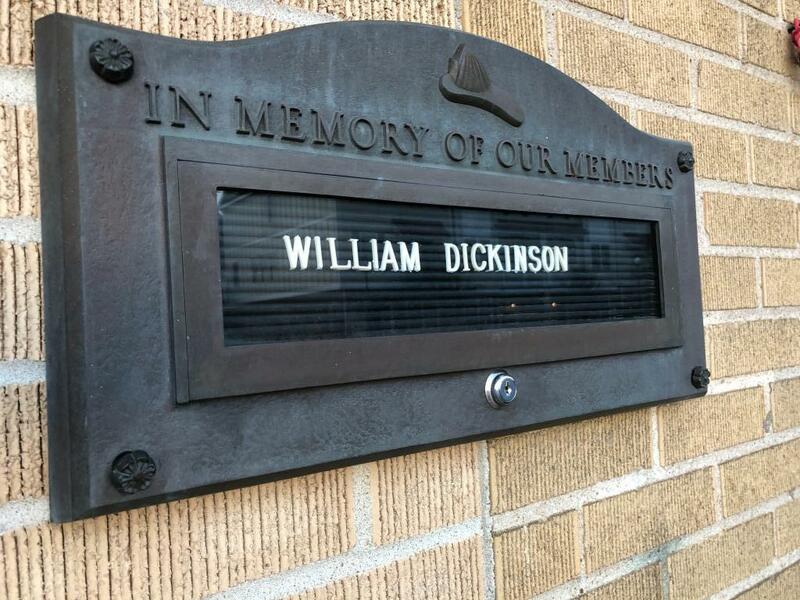 BERWYN, PA - With heavy hearts, the members of the Berwyn Fire Company regret to announce the passing of Life Member William E. Dickinson. Bill or Nutzy as we called him around the firehouse joined the Company at the age of 16 as a Conestoga High School Sophomore in 1969. Bill was an active member alongside his father, the late Franklin (Frank) T. Dickinson, Jr., who also attained life member status during his tenure with the Company. Bill served as an active member in the roles of firefighter and engineer for 31 years in faithful volunteer service to the residents of Tredyffrin and Easttown Townships. One of the last major fires he responded to was the multi-alarm fire at the Gateway Shopping Center in October 1998. As a volunteer Bill represented the best part of what it means to serve others. 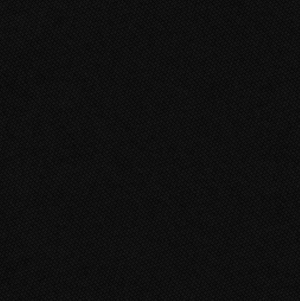 The Company sends it deepest condolences to his family and friends during this difficult time. Relatives and friends may call on Sat. Oct. 20, 2018 from 10:00 - 11:30 a.m. at Alleva Funeral Home: 1724 East Lancaster Ave. Paoli, PA. A Funeral Service will begin at 11:30 a.m. In lieu of flowers, memorial contributions may be made in Bills honor to: Berwyn Fire Company: 23 Bridge Ave, Berwyn PA 19312 or Fox Chase Cancer Center: 333 Cottman Ave, Philadelphia, PA 19111. William (Nutzy) (Bill) Dickinson (64) of Berwyn, PA passed away peacefully at home on Monday, October 15th, 2018 after a long battle with cancer. Bill was the beloved husband of 41 years to Doreen M. (nee D'Alessandro) Dickinson and son of Nancy E. (nee Clements) and the late Franklin T. Dickinson, Jr.; 2 daughters: Carly Dickinson and Kathryn Dickinson; siblings: John Franklin Dickinson (Kathie), Brenda Lee (nee Dickinson) Dasher (Howard), Patricia Mae (nee Dickinson) Barajas (Robert), Franklin T. Dickinson, Jr. and preceded in death by a brother: Robert Dickinson. Also surviving are many nieces and nephews. 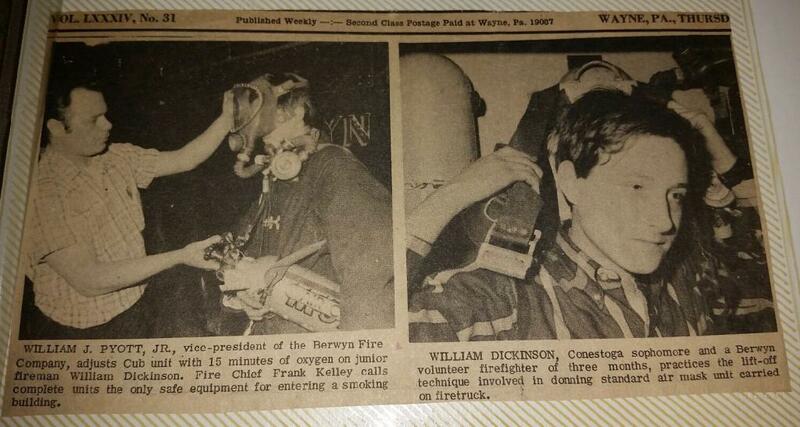 Bill lived in Berwyn his whole life and was a life member of the Berwyn Fire Company, having joined at the young age of 16. He attended many fire-related training courses during his active years. He attended North American Training Academy and obtained his CDL to be an OTR truck driver. He worked at Fritz Lumber in Berwyn as well as Tredyffrin and Easttown Township's road crew. He could operate any type of large equipment. Bill also bowled in the Berwyn Businessman Bowling League at Devon Lanes for many years. 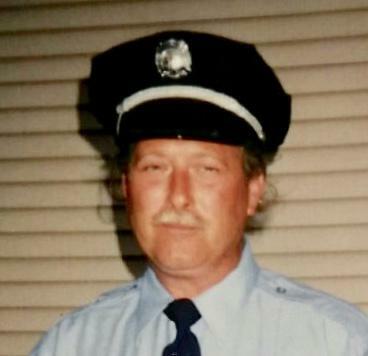 His last and most beloved job was working for Coopersburg & Liberty Kenworth in Swedesboro, NJ where he test drove and delivered brand new big rigs. Relatives and friends may call on Sat. Oct. 20, 2018 from 10 - 11:30 a.m. at Alleva Funeral Home: 1724 East Lancaster Ave. Paoli, PA. A Funeral Service will begin at 11:30 a.m. In lieu of flowers, memorial contributions may be made in Bills honor to: Berwyn Fire Company: 23 Bridge Ave, Berwyn PA 19312 or Fox Chase Cancer Center: 333 Cottman Ave, Philadelphia, PA 19111. 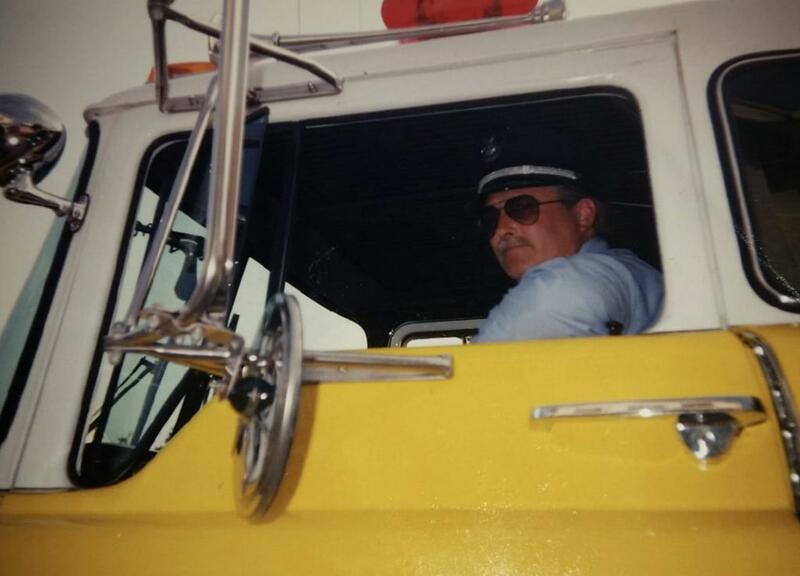 Bill driving a Berwyn fire truck in the 100th Anniversary Parade in 1994. Old newspaper article highlighting Bill as a Sophomore at Conestoga High School.